Agile working is not new. But there is still a limited understanding of the wider scope that agile working encompasses. Without this understanding the real benefits and opportunities that agility can bring to an organisation may well be diminished or completely missed. At the same time there is a need for knowledge, experience and insight in developing new agile ways of working to ensure many of the usual pitfalls are avoided. Do you need an agile critical friend ? 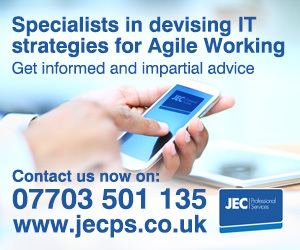 Agile working is often seen as being just about introducing new technology, homeworking, desk sharing, flexible hours. The real focus is more about how you work to find the best way of delivering excellent outcomes for customers. It is more than doing the same work in a different time and/or place. The essence of agile is about approaching and doing work differently. The real business benefits of successful agile working is a focus on performance improvements in productivity, innovation and service outcomes, and for the individual more autonomy, trust and responsibility which makes working more satisfying and appealing. While the potential benefits of agile working are well documented the route to achieving them is often not so easy to navigate. Many organisations make the mistake of treating agile working as a one-off limited life project; whereas real success comes when managed as a continuous and individual journey. Agile working is not a quick fix. It is evolutionary, it is evidence-based involving and touching everyone. It is not “one size fits all”, rather it acknowledges and appreciates differences in capability, need and character. It involves people and it is about people working, managing and thinking differently – creating a culture that is transparent that actively encourages adaption, continuous adjustment, innovation and a capability to respond quickly to changing circumstances and new market opportunities. A culture that is based on embracing the Agile Agenda. The changes agile will require impact everyone and require examination of everything that is done: purpose, what, where, how and when activity is carried out, who should be involved, what tools are used and the approach, customs, habits, processes, mindsets and behaviours. However the real key to success is in sustaining and embedding agile within the psyche of the organisation. This journey of agile discovery is multi-faceted requiring leadership, holistic guidance, the right resource and mindset, time and much energy. At the heart of this is continuous engagement and 2-way communication to gain understanding and commitment. Some organisations are still in the early stages of considering implementation of agile working and wondering how to proceed. Others think that they have already “done” agile but have not progressed beyond the projects increasing people to desk ratios, implementing statutory flexible working arrangements and technology upgrades enabling mobile and home working. Agile is about responding to change, seeking continuous improvement and all organisations need to review their next steps in the journey to achieve Agile Working 2.0 as part of their ongoing quest for business performance improvement. Many do not have the dedicated resource or the necessary in-house experience and knowledge to manage the development and implementation of agility and the next iteration of agile working within their organisation. The Agile Organisation has successfully developed the journey and implemented agile working for a large number and diverse range of organisations over the past decade. The Agile Organisation is a specialist consultancy focused on agile working, workplace strategy and mindset change. We provide practical advice and support to organisations on people, workstyles, workplace and use of technology as the catalyst for enhanced performance, business value, cost and workforce transformation. During the last decade we have provided strategic advice, developed agile workplace strategies and implemented new agile working practice within a diverse range of organisations in the UK and Europe.